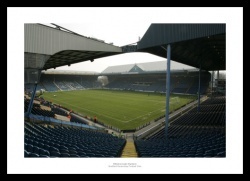 Photos, memorabilia and gifts celebrating the history of Sheffield Wednesday. 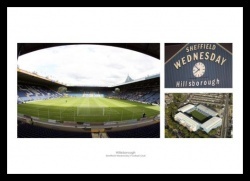 From our our ever popular personalised Sheffield Wednesday newspaper book, to photos and canvas prints of Owls legends and the greatest moments in the clubs football history, we have carefully selected a superb selection of Sheffield Wednesday memorabilia and gifts for all fans of the club. 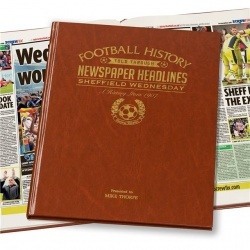 The history of Sheffield Wednesday through newspaper reports of the day. 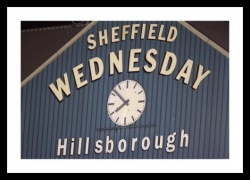 Your name on the Sheffield Wednesday shirt! 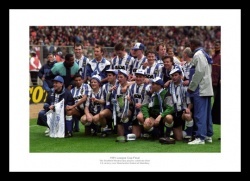 3 photos from the 1991 League Cup Final featuring Sheffield Wednesday legends. 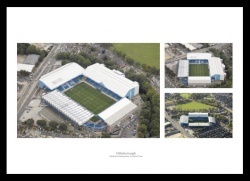 Aerial views of the famous ground. 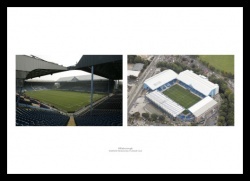 Views from inside and outside Hillsborough. 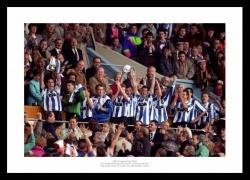 The Sheffield Wednesday players celebrate John Sheridan's goal in their victory over Manchester United at Wembley. 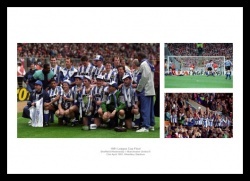 The team receives the trophy at Wembley. 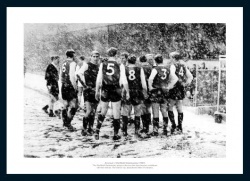 The team pose for traditional photos after the final. 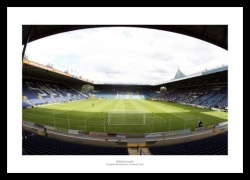 As well as Sheffield Wednesday memorabilia and gifts, IntoSport has a range of photos, canvas prints, gifts and memorabilia for all football or sports fans. 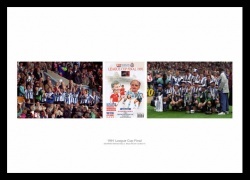 Please continue your visit on IntoSport for a wide range of top quality memorabilia, and sports gifts.